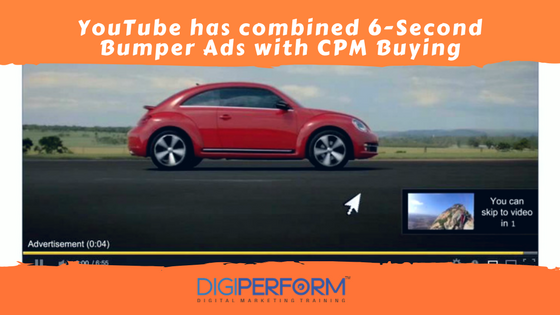 Digiperform > Blog > Digital Marketing News > YouTube has combined 6-Second Bumper Ads with CPM Buying. YouTube has combined 6-Second Bumper Ads with CPM Buying. Youtube is one of the popular video sharing platforms all over the world with more than 1,300,000,000 viewers searching for videos daily. Not only for entertainment, it is used for business purposes as well; which makes it the second largest search engine next to Google. While searching or watching videos, you must have come across various skippable or unskippable ads at the beginning of every video (unless you have installed or added Ad-Blocker in your search engine extension). These skippable ads are generally termed as TrueView Ads in YouTube world or advertising language. YouTube has combined their six-second bumper ads in stream format with CPM buying where users can skip them after five seconds. CPM which stands for – Cost per Thousand Impressions, is the amount an advertiser pays to have its ads served against videos 1000 times. Each time an ad on a video runs completely, its called an impression. YouTube announced that brands can now buy its TrueView ads and optimize them for reach. They have introduced a new skippable option for short-form branding ads called TrueView for Reach. Advertisers pay for TrueView in-stream ads after viewers watch 30 seconds, the video ends or viewers interact with the ads. Ads can run anywhere from six to under 30 seconds. The ads are then optimized for efficient reach. TrueView ads, commonly known as bumper ads, is a short format of YouTube video ad that provides the viewer’s options – the ability to skip the advertisement just after five seconds. The bumper ads are designed in the format to allow ads to reach more customers with a motive to increase awareness about the brand by using short and memorable message. This means brands can create ads as short as six seconds (and up to 30 seconds), which users can skip after five seconds, and which will run before or during videos. In-stream ads, the viewers can skip the pre-roll ads just after five seconds. The Sponsors are supposed to pay only for ads that are entirely viewed or until 30 seconds have elapsed. The type of ads is suitable for short or long video content. In-slate ads, the sponsor pay for the ads that are selected by the viewers based on their interest and behavior. It allows viewers to among several sponsors’ ads or opt for commercial breaks interspersed through the video content. The type of ads is suitable for videos that are at least 10 minutes long. In-search ads, the ads are appeared in YouTube search results based on viewers keyword search or when the viewer’s search is related to the ad’s keywords. Sponsors pay for ads when the viewer begins to watch. 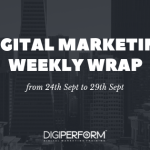 In-display ads, the ads are displayed in legacy formats that means they appear in the YouTube promoted videos overlay, in video suggestions and related videos, and in Google’s Click-to-Play format. Sponsors are charged when viewers opt to watch an ad. According to Google (the owners of YouTube), eight out of ten viewers prefer TrueView to other in-stream video ad formats. The TrueView Ads helps companies to maintain the interest of viewers as well advisors where the viewers can skip ads or select the ads they want to watch, the advertiser saves money and reaches a more targeted audience. YouTube confirmed that with shifting it’s existing in stream format with the CPM buying, already ads are falling under the 95 percent viewable and 95 percent audible parameters. In this, advertisers only need to pay when a viewer watches the ad video at least 30 seconds or through the end of the video when they take actions like clicking on the call to action or other elements within the creative. YouTube states with the same advancements, they have paved the way for shorter branding ads of its unskippable six-second bumper ads that have been quite popular among advertisers since inception. Google says a 2017 global study showed bumper ads drove an average Ad Recall of more than 20 percent. Now, advertisers with those six-second assets can opt to run them as bumper ads or as TrueView for reach ads. The study has stated that people are three times more likely to pay attention to online videos as compared to TV commercials. The online video ads were measured and generalized across the major platforms such as YouTube, Hulu, Facebook, Snapchat and full-episode players like NBC.com. I hope you liked the update. You can share your experiences or views on this update in the comment section.